Aerial view of the new solar canopy car charging station at the Cherokee Nation W. W. Keeler Tribal Complex in Tehlequah. 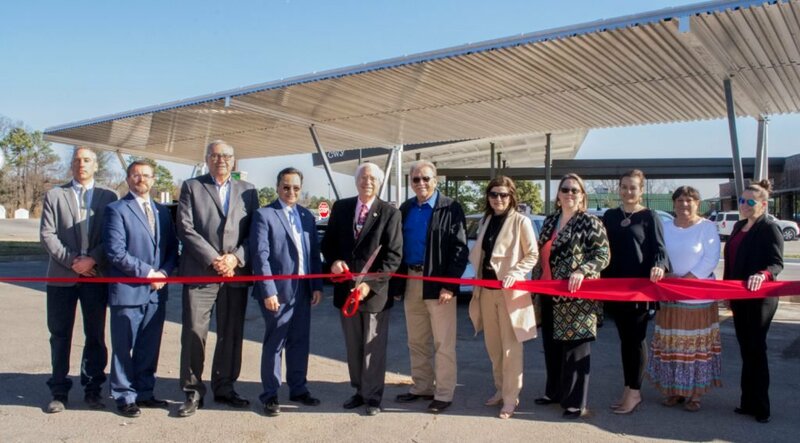 The Cherokee Nation held a ribbon-cutting ceremony at the tribe’s headquarters in Tahlequah, Oklahoma to celebrate the first tribal solar canopy car charging station to be built by a tribe in Oklahoma. Cherokee Nation’s new charging station is located in the main parking lot of the W.W. Keeler Tribal Complex. It is capable of charging up to eight electric vehicles and also provides about 58,000 kilowatt hours (kWh) of electricity to the tribal complex each year, equivalent to the amount of electricity needed to power three or more homes. The moment of ribbon cutting at the solar canopy charging station. (From left to right) Cherokee Nation Senior Director of Environmental Resources Pat Gwin, Attorney General Todd Hembree, Chief of Staff Chuck Hoskin, Secretary of State Chuck Hoskin Jr., Principal Chief Bill John Baker, Deputy Chief S. Joe Crittenden, Tribal Councilor Janees Taylor, Secretary of Natural Resources Sara Hill, Treasurer Lacey Horn, Bureau of Indian Affairs Eastern Regional Office representative Jeannine Hale, and Cherokee Nation Special Projects Analyst Julie Justice. Construction costs for the solar canopy totaled around $300,000 through a partnership between Cherokee Nation and the Bureau of Indian Affairs. 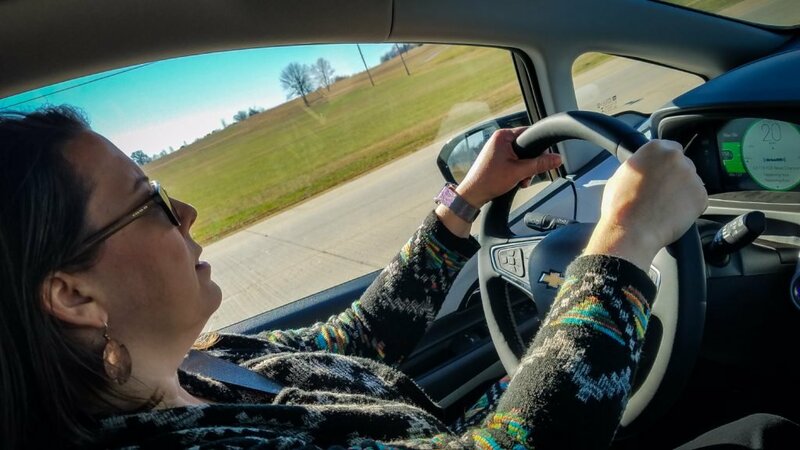 Cherokee Nation Secretary of Natural Resources Sara Hill test drives an electric car during a ride-and-drive event for tribal employees. Cherokee Nation citizen Ben Phillips, of Fort Gibson, works at the tribal complex in Tahlequah and has driven a hybrid car for four years. He initially chose the electric vehicle for its technology and low maintenance and now uses the charging station daily, which saves time and money he would otherwise spend on gasoline. 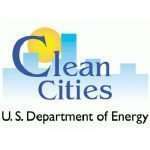 The Cherokee Nation purchased its first two 100-percent electric-powered Nissan Leaf compact cars in October. 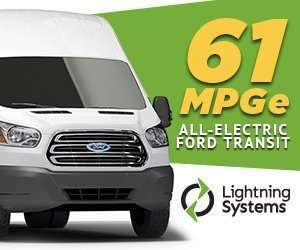 The Leafs can travel about 107 miles on one charge, and produce zero emissions. Following Tuesday’s ribbon-cutting, the tribe hosted a ride-and-drive event. Aside from test-driving the new Nissan Leafs, employees were invited to drive electric vehicles owned by OG&E and Auffenberg Chevrolet in Muskogee. Francis Renewable Energy of Tulsa was the contractor for the solar canopy charging station. 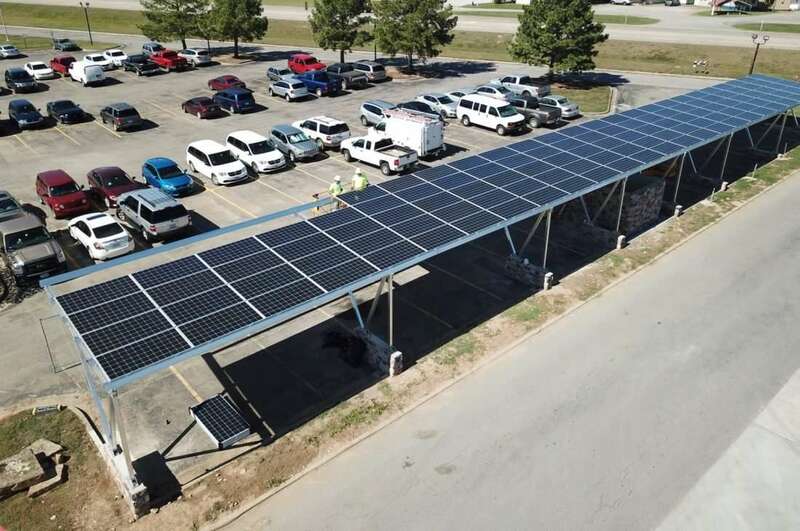 The solar canopy and addition of electric vehicles to the Cherokee Nation fleet are part of the tribe’s recent initiative to reduce carbon emissions. Other environmentally friendly initiatives include the tribe leasing land to a company for the development of a wind energy farm on Cherokee Nation trust land in Kay County.